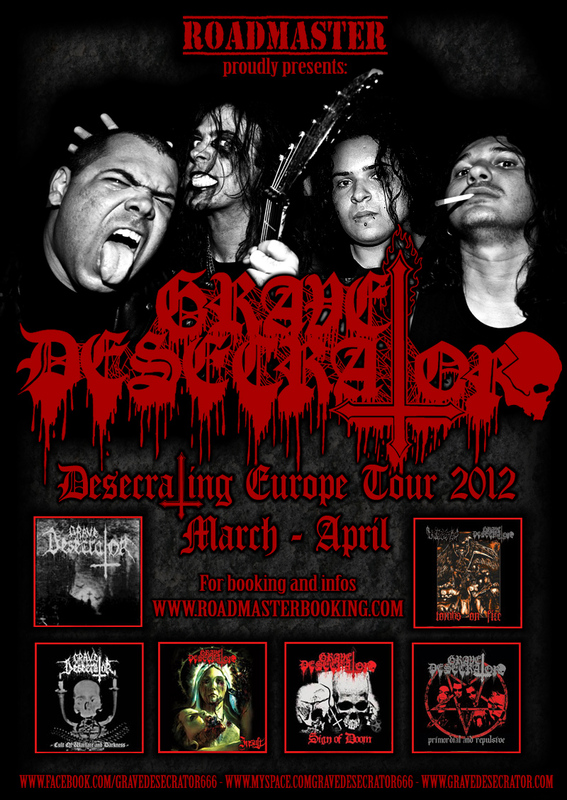 It is with great pride and satisfaction that we announce the partnership with the Brazilian Death/Black Band GRAVE DESECRATOR! The dates will be scheduled for the months of March/April 2012. For more information/booking contact us through our email contact@roadmasterbooking.com. See also www.fb.com/gravedesecrator666 , www.myspace.com/gravedesecrator666 and www.fb.com/roadmasterbooking.